I know, losing my sanity chasing the white gold! This is 4 times in 8 year. Looking at the Radar seem I am right in the middle of a streamer. I'm going to have to avoid the forum for 24 hrs or so. It's painful. For once, can we not have some good luck with these things. 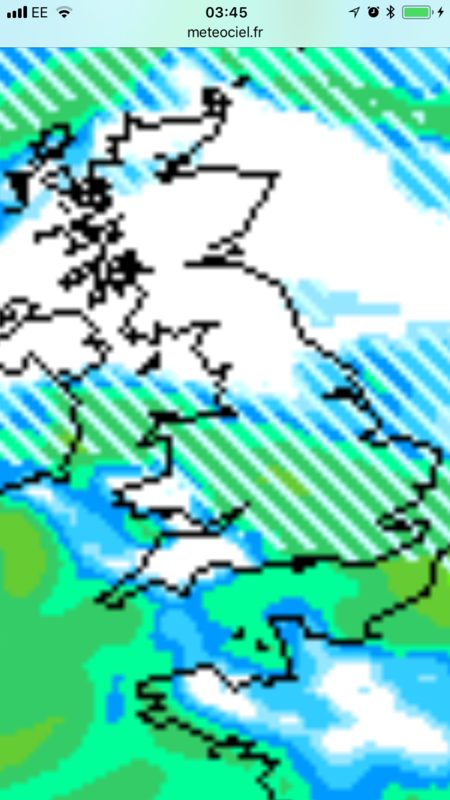 The next band of rain Sunday will just plough straight through though. white outside now, not going to get me a day off work though and a day sledging with the kids ! I don't understand why this LP just sinks away into France either. Any other time it just ploughs through the UK as rain like you say. I've seen LPs blow cold 850s away like they were nothing before now. Looks like a real snowy sky out but nothing falling.